(The Competition Authority of Kenya [CA-K]) .. Excludes the proposed acquisition of 51% of Selenkei Ltd by Frontier Energy as the acquirer assets for the preceding year (2017) was KShs. 225 million while the target’s assets was KShs. 4 million and the combined assets valued at KShs. 222 million meet the threshold for exclusion. Excludes the proposed acquisition of 51% of Cedate by Frontier Energy as the acquirer assets for the preceding year 2017 was KShs. 225 million while the target’s assets was KShs. 355 million and the combined assets valued at KShs. 580 million meet the threshold for exclusion. CA-K approved the proposed acquisition of control of Consolidated Infrastructure Group by Fairfax Africa Holdings. edit The CA-K has approved the acquisition of Cemtech Ltd by Simba Cement, which is owned by the Devki Group. Cemtech has limestone and clay deposits and licenses for extraction in West Pokot but has been dormant for a decade. Its shareholders have been looking for a partner (another deal had been mooted in 2013 ) to finance a cement plant, and Simba plan to resuscitate it by acquiring its land, business, intellectual property, records, equipment, goodwill, licenses, stock and third party rights. Simba has an 8% share of the cement market behind Bamburi (33%), Mombasa Cement (16%), East African Portland (15%), Savannah (15%), National (8)and Athi River Mining (13%) (March 2019). Excludes the proposed acquisition of 44% of Cellulant Corporation by The Rise Fund Certify, L.P. as the acquirer had a turnover of KShs. 93 million for the preceding year 2017 while target had a turnover of KShs. 752 million and therefore, the combined turnover of KShs. 844 million meets the threshold for exclusion. Excludes the proposed acquisition of 100% of Serian Asset Managers by Cytonn Asset Managers as the acquirer had a turnover of KShs. 0.9 million for the preceding year 2017 while target had a turnover of KShs. 1.1 million for the preceding year 2017 and therefore, the combined turnover of KShs. 1.9 million meets the threshold for exclusion. The Competition Authority approved the acquisition of indirect control of Abraaj Investment Management by Actis International. Abraaj controls Star Foods Holdings, which ultimately controls Java House Ltd in Kenya. Excludes the proposed acquisition of 99.9% of Twiga Foods Limited by Twiga Holdings as the acquirer has no operations in Kenya and therefore had no turnover for the preceding year 2017 while the target’s turnover was KShs. 140 million and the transaction meets the threshold for exclusion. Excludes the proposed acquisition of the business and assets of Anchor Flour Millers Company by Archaic Industries Kenya as the acquirer is a natural person with no business activities and had no turnover or assets for the preceding year 2017 while the target’s turnover was KShs. 97.3 million. Excludes the proposed acquisition of class B ordinary shares in Fertiplant East Africa by Oikocredit, Ecumenical Development Cooperative Society U.A as the acquirer is a natural person and had no turnover or assets for the preceding year 2017 while the target’s assets were valued at KShs. 47.5 million. CA-K approved the proposed acquisition of certain assets and part of the business of Kreative Roses limited by Kongoni River Farm on condition that the target retains 43 of its employees while the acquirer employs the remaining 362 employees for at least one year after the completion of the proposed transaction. edit The biscuit manufacturing and selling business carried on by Golden Biscuits (1985) at L.R. No. 209/4260, Kampala Road, Industrial Area, Nairobi, will be transferred to Trufoods Limited pursuant to the terms of a business and asset transfer agreement entered into between the Transferor and Transferee on 7th February, 2019. Excludes the proposed acquisition of 32.5% of the shares with certain veto rights in King Medical Supplies by LGT Capital Invest Mauritius PCC Cell E/VP as the acquirer is a newly incorporated company and had no turnover for the preceding year 2017 while the target’s turnover was KShs. 20.9 million. Excludes the proposed acquisition of 32.5% of the shares with certain Veto Rights in City Eye Hospital by LGT Capital Invest Mauritius PCC Cell E/VP as the acquirer is a newly incorporated company and had no turnover for the preceding year 2017 while the target’s turnover was KShs. 62.1 million. Excludes the proposed acquisition of sole control of Hain Lifescience East Africa Kenya by Bruker Daltonik GMBH as the acquirer’s turnover for the preceding year 2017 was KShs. 102 million while the target’s turnover was KShs. 106 million and the combined turnover of KShs. 208 million meets the threshold for exclusion. Excludes the proposed acquisition of the manufacturing and distribution business of Pharmaceutical Manufacturing Company (Kenya) by Shalina Healthcare Kenya as the acquirer’s assets for the preceding year 2017 was KShs. 0.4 million while the target’s value of asset was KShs. 43 million and the combined value of asset of KShs. 44 million meets the threshold for exclusion. Excludes the proposed acquisition of certain assets of Maghreb Pharmacy by Goodlife Pharmacy as the target had a turnover of KShs. 15 million for the preceding year 2016 and therefore, the transaction meets the threshold for exclusion. Excludes the proposed acquisition of 60% shareholding in AK Life Sciences by CSSAF Lifeco Holdings as the acquirer had a turnover of KShs. 377 million for the preceding year 2017 while target had a turnover of KShs. 125 million for the preceding year 2017 and therefore, the combined turnover of KShs. 503 million meets the threshold for exclusion. The competition authority approved the proposed acquisition of the entire share capital in Arysta Lifescience Inc by UPL Corporation. The Competition Authority authorized the proposed investment by Tunza Health Investments in Pyramid Healthcare Ltd. The Competition Authority approved, the acquisition of 100% of the business and assets of Desbro (Kenya) by Brenntang (Holding) B.V. on condition that Brenntang retains the 80 employees of Desbro for a period of one year. Desbro distributes over 600 industrial chemicals to various industries in Kenya, Uganda, Rwanda, Burundi and Ethiopia. Excludes the proposed acquisition of 100% of the shares in JGH Marine A/S and JOHS. Gram-Hanssen A/S by Pitzner Gruppen Holding A/S as the acquirer has no presence in Kenya and, therefore, had no turnover for the preceding year 2017 while target had a turnover of KShs. 392 million for the preceding year 2017 and therefore, the transaction meets the threshold for exclusion. Excludes the proposed acquisition of the assets and business of Socabelec East Africa by Cockerill East Africa as the acquirer had a turnover of KShs. 193, million for the preceding year 2016 while target had a turnover of KShs. 226 million the preceding year 2016 and therefore, the combined turnover of KShs. 419 million meets the threshold for exclusion. Excludes the proposed acquisition of 55% of Air Sea Logistics (ASL) by Expolanka Freight PZCO as the acquirer had no turnover for the preceding year 2017 while the target’s turnover for the preceding year 2017 was KShs. 8 million and therefore meets the threshold for exclusion. Excludes the proposed acquisition of the assets of Rich Logistics (K) by Bigcold Kenya as the acquirer is newly incorporated and hence, had no turnover for the preceding year 2017 while the target had a turnover of KShs. 48 million for the preceding year 2017 and therefore, the transaction meets the threshold for exclusion. CA-K approved the proposed acquisition of the stationery and shavers manufacturing, sales and distribution of stationery, lighters and shavers business of Haco Industries Kenya by BIC East Africa. CA-K approved the proposed acquisition of the Kenyan freight forwarding business and assets of Dodwell & Co (East Africa) and those of Inchcape Shipping Services Kenya by ISS Global Forwarding (Kenya) – which is owned by Investment Corporate of Dubai (ICD). The Competition Authority approved the proposed acquisition of the assets and business of Blue Nile Wire Products by Blue Nile Rolling Mills. The Competition Authority approved the acquisition of the assets and business of Wild Elegance Fashions by Wild Elegance Africa. The Competition Authority approved the proposed acquisition of 73.6% of Sintel Security Print Solutions by Ramco Plexus. Sintel is involved in the printing and supply of scratch cards, highly secured cheques and custom labels. CA-K approved the proposed acquisition of the business and assets of Lino Stationers by Sai Office Supplies on condition that the acquirer employs not less than 57 out of the 74 employees after the completion of the proposed transaction. Excludes the proposed acquisition of 40% of Dufry Kenya by Ananta as the acquirer had no turnover for the preceding year 2016 while the target had a turnover of KShs. 269 million for the preceding year 2016 and therefore, the transaction meets the threshold for exclusion. Excludes the proposed joint venture between Scan-Thor Group and Otto International GmbH as the acquirer has no market presence in Kenya and, therefore, had no turnover for the preceding year 2017 while target had a turnover of KShs. 11 million for the preceding year 2017 and therefore, the transaction meets the threshold for exclusion. Excludes the proposed transfer of 100% of Norbu Manda Pwani Ltd to Margot Kiser from the provisions of Part IV of the as the acquirer is a natural person and had no turnover or assets for the preceding year 2017 while the target’s assets were valued at KShs. 47.5 million. Excludes the proposed acquisition of the business of Ocean Sports (2006) by Ocean Sports Hotel as the acquirer had no turnover for the preceding year 2016 while the target’s turnover was KSh. 44.6 million. Excludes the proposed acquisition of 34.48% of African Forest Lodges by Earth Friends LLP as the acquirer is a newly incorporated company and has no assets or turnover for the preceding year 2016 while the target’s assets was KShs. 197 million. Excludes the proposed acquisition of the (Furniture, fittings, equipment and Prefabricated building) assets of Me To We Ltd by Bogani Training, excludes the proposed acquisition of the (motor vehicle) assets of Me To We Ltd by Minga Ltd and excludes the proposed acquisition of the assets (vehicles, beads, stocks) of Me To We Ltd by Araveli For Mamas as the acquirers had no turnover for the preceding year 2016 while the target’s turnover for the preceding year 2016 was KShs. 68 million and therefore, meets the threshold for exclusion. CA-K approved the proposed acquisition of control of Tumaini Self Service by Sokoni Retail Kenya. Tumani operates retail stores in Nairobi, Kisumu and Kajiado. The Competition Authority of Kenya approved the proposed acquisition of 100% of Hillcrest Investment Holdings by Education Asia Holdings – which is an investment holding company owned by GEMS Global Schools. Hillcrest operates three learning institutions in Nairobi – Hillcrest Early Years, Hillcrest Preparatory School and Hillcrest Secondary School. Excludes the proposed acquisition of 39% of the shareholding in the Star Publication by Avandale Investments and 10% of the shareholding by Adil Arshed Khawaja as the acquirer had no turnover for the financial year ending 30th June 2017 while the target’s turnover was KShs. 679 million. Excludes the proposed acquisition of Mobile Web (trading as Hivisasa) by Novastar Ventures Easy Africa Fund 1 L.P. as the acquirer had no turnover for the preceding year 2017 while target had a turnover of KShs. 14 million or the preceding year 2017 and therefore, the transaction meets the threshold for exclusion. CA-K, as a regulator, has not yet reported on two mega deals; the proposed bank merger between CBA and NIC and the buyout of Kenol by Rubis that will lead to a delisting of the company. edit: Later in January 2019, the Competition Authority approved the Rubis-Kenol deal along with a few other deals. Also, see some other deals approved six years ago. This entry was posted in africa venture capital, Cytonn, education, Fintech, Haco, Kenya economic growth, M&A, Media in Kenya, medical insurance, NSE investor awareness and tagged Africa Rising on January 17, 2019 by bankelele. This week, the M-Pesa Foundation Academy and Nairobi International School hosted author John Couch, who was first Vice President of Apple Inc., for a talk session on “rewiring education.” The chief guest was Kenya’s Cabinet Secretary for ICT, Joe Mucheru. Kids come into employment fully trained in things that are no longer relevant. They then have to unlearn that, and we are working with universities to modernize the curriculum. Schools have to hire teachers who are registered with the Teachers Service Commission. But those who are there only have B.Ed (Bachelor of Education degrees), and lack skills to stand in front of students who are far ahead of them in technical knowledge. The Kenya government has developed a brilliant curriculum, that will start next year, but teachers have not been trained to deliver this. International schools take three years to retrain a teacher. The median age in Kenya is 19 years, and half the civil service is made up of teachers. The most important skill to have in life is (to embrace) continuous learning. Schools can currently evaluate student memorization, but not their creativity and innovation abilities. Safaricom set out to provide connectivity to all schools in Kenya and the government was to provide the devices. The US also treats teachers as a union problem, not a professional occupation. Teachers are underpaid and under-trained. This entry was posted in Apple, career development, CSR, education, Kenya ICT, Safaricom, scholarships on September 29, 2018 by bankelele. EDIT April 17 2018: One of South Africa’s leading private schools will soon open its doors in burgeoning Tatu City. Crawford Kenya International College is the brainchild of JSE-listed ADvTECH, Africa’s largest private education provider which recently acquired the Makini group of schools. Set to open in September 2018, and with a capacity for 1700 students, Crawford Kenya will teach the UK/Cambridge Curriculum in modern, trendy facilities – which include a multifunctional indoor sports centre, a swimming pool, outdoor sports fields and tennis and basketball courts. Additionally, it will also provide high school boarding facilities. Original April 3, 2018: It’s now official: The Okelo family, the owners, and founders of the Makini group of schools, have agreed to sell the company to an international education partnership consisting of two pan-African educational institutions – ADvTECH Ltd (which is listed on the JSE in South Africa) and Scholé Ltd.
After 40 years, @Makini_Schools are sold to Schole Ltd, who will acquire all shares of Makini, and who will work with ADvTECH to enhance the quality of education as Makini continues with the Kenyan curriculum. The Makini group was founded, fourty years ago, in 1978 by Dr. Mary Okelo, and her late husband Dr. Pius Okelo, who passed away in a road accident in 2004. Makini has 8 schools on 4 campuses in Nairobi and Kisumu and 3,200 students in nursery, primary and secondary schools (from Kindergarten to Grade 12). The consortium that is acquiring all the shares in Makini has committed to enhancing the quality of education at Makini, and that the schools will continue teaching the Kenyan educational curriculum. ADvTECH runs 117 educational sites in Southern Africa and Scholé operates schools in Zambia and Uganda – and Kisubi High School, a boarding school in Kampala with 900 students, will become part of the partnership. This entry was posted in education, entrepreneurship, Investing in Kenya, M&A on April 3, 2018 by bankelele. My Footprints on the Sands of Time is an autobiography by Professor Bethwell Ogot (wikipedia), an eminent academic scholar. It is a tale of a young man overcoming incredible hardships, and going through early schooling at Maseno, and later through winning scholarships and prizes, on to excelling at Makerere, St. Andrews (Scotland) and teaching with Carey Francis at Alliance High School. It also touches on his work and roles in the establishment of the University of Nairobi, and Maseno University, and at his travels to present papers and speak at prestigious conferences and other institutions across the world. Ogot narrates tales on growing up in Luo culture, seeing emerging economic changes e.g. he took a honeymoon trip to Uganda in 1959 traveling on first class from Kisumu to Kampala via Nakuru, a twenty-seven-hour train journey. Later, when his father died on August 30, 1978, this was the day before Kenya’s first president Mzee Jomo Kenyatta was to be buried, and it was a period when the sole broadcaster – the Voice of Kenya refused to publish any other death announcements, newspapers would not publish any other obituaries as a sign of respect to Kenyatta, and coffin-makers were not willing to make any other coffins. He was close to former schoolmates, who were now in government and its leaders. Ogot was waiting to meet Tom Mboya for lunch at the New Stanley Hotel when Mboya was shot (his death was not unexpected to his friends), and Ogot had an encounter with Mboya’s killer who was fleeing the scene. He writes of his work to establish and get government and financial support for the Ramogi Institute of Advanced Technology – RIAT and a delicate dance with community leaders including Oginga Odinga who was firmly out of government. The book has a wealth of information on corporate governance and management from Ogot’s time at regional bodies, parastatals, international organizations, donor-funded ones, universities that were in slow decline and government. He writes of working in research and publishing, and struggling to document and publish African history. 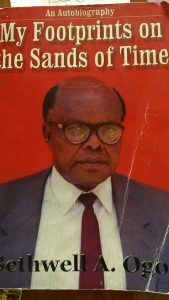 Also of his times at the East African Publishing House that published books on political science, history, geography and a modern African library with much opposition from British Publishers who controlled publishing and later from government officials who set out to shut down independent academic stories. 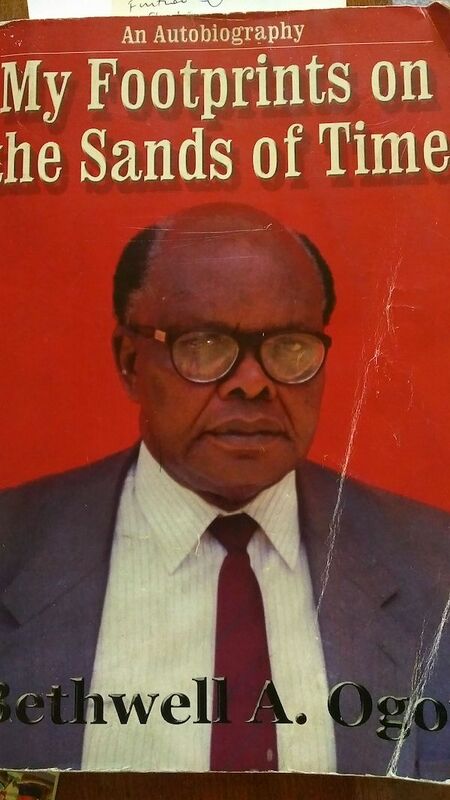 They published Okot p’Bitek’s Song of Lawino that some critics considered a terrible poem ahead of its publication but which went on to be celebrated and sell over 25,000 copies. There are also stories of navigating the East African Legislative Assembly, travels around East Africa, interacting with leaders and observing actions that were either supporting or undermining the East African Community. Uganda’s President Amin spoke of supporting the community even as he launched Uganda Airlines that he said would only do domestic flights in Uganda. There was also the importation of goods for Zambia through Mombasa that undermined the Dar es Salaam port and the Tazara railway, so Tanzania banned Kenyans trucks with excess tonnage from using their highways, and Kenya retaliated by closing its border with Tanzania. Officials in different countries also tried to keep community assets from leaving their borders, and Kenya grounded planes and withheld fuel of East Africa Airways which owed money to Kenya banks in a move designed to hurt vast Tanzania the most. The most shocking tales are from his time working at the Museums of Kenya and its spinoff that saw Ogot as the first director of The International Louis Leakey Memorial Institute for African Prehistory – TILLMIAP (see an excerpt). It is a serious indictment of Richard Leakey who regarded TILLMIAP as his personal family fund-raising institution and who, with the support of Charles Njonjo in government and diplomats and donor agencies, warded off transparency and Africanization efforts – and was eventually to hound Ogot out of the institution. Another tale is of when, as the candidate representing Africa on the executive board of UNESCO, he ran for the Presidency of the General Conference. But what should have been a formality of confirming his position became a long process after a surprise Senegalese candidate emerged to run against him – and France lobbied Francophone countries to only vote for a French-speaking African candidate, rules were changed, documents forged, and additional multiple election steps added before Ogot finally won. The 500+ page book by Prof. Ogot does not have an index, but it’s worth reading all over again. This entry was posted in Britain, Corporate governance, Donor AID, East African Community, education, France, kenyamoneyinthepast, Museums, Philanthropy, Research, scholarships, tanzania, Uganda on April 1, 2018 by bankelele. Various merger/acquisition (M&A) deals in the last few weeks and months in East Africa since the last update. Centum Investments is selling its shareholding in GenAfrica Asset Managers to Kuramo Capital LLC, an independent investment management firm based in New York City with offices in Nairobi and Lagos, and registered as an investment advisor by the Securities and Exchange Commission (“SEC”). Centum sold 25% of Platcorp Holdings to Suzerian Investments a consortium of the Platcorp management team (platinum credit and premier credit) which provides emergency loans to individuals in Kenya Uganda Tanzania while Premier offers working capital loans to companies – at a 31% return. AfricInvest, a leading pan-African mid-cap-focused private equity firm invested in Britam Holdings Plc (Britam), taking up a 14.3% stake. The investment was made in partnership with DEG-Deutsche Investitions- und Entwicklungsgesellschaft mbH (DEG), The Dutch Development Bank FMO, and Proparco, a subsidiary of Agence Française de Développement (AFD), focused on private sector development. Hamilton Harrison & Mathews Advocates (HH&M), one of Kenya’s oldest and largest law firm has entered into an agreement to combine with Dentons, the world’s largest law firm. Upon regulatory approval, HH&M will become part of Dentons, which is combining with seven elite firms in Africa, the Caribbean and South East Asia. The Competition Authority of Kenya has authorized the proposed acquisition of control in AON Kenya Insurance Brokers by Extologix Proprietary through Heartland Holdings. 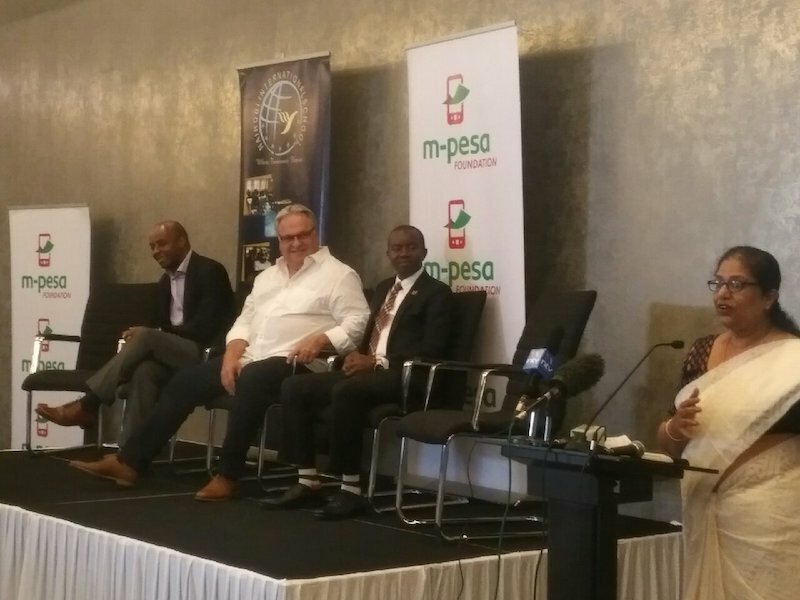 BitPesa, the first and largest blockchain payments platform for Africa and Europe, announced their acquisition of TransferZero, an international, online money transfer platform that specializes in sending money to consumers and companies in 200 countries using over 50 different currencies. Mastercard has completed its acquisition of mobile payments technology company Oltio from Standard Bank Group. The acquisition builds on Mastercard’s longstanding relationship with Oltio’s technology enables consumers to authenticate Masterpass digital wallet purchases in South Africa using their bank PIN and mobile phone. DEG – Deutsche Investitions- und Entwicklungsgesellschaft mbH, is investing EUR 4 million in M-BIRR, a cashless money transfer and payment service in Ethiopia to improved access to banking services in Ethiopia on a wide scale. Other investors include the European Investment Bank (EIB). The Finnish development finance company Finnfund has been a shareholder in M-BIRR since as early as 2012 which is inspired by the success story of the Kenyan provider M-PESA. The Competition Authority authorized the proposed acquisition of 100% of the issued share capital of Youjay’s Insurance Brokers by I & M Insurance Agency. I&M Bank, through its subsidiary, I&M Insurance Agency, has completed the acquisition of Youjays Insurance Brokers. Founded in 1987, Youjays deals in life and non-life products and has 400 customers and has an insurance premium portfolio of Kshs 400 million. Customers of Chase Bank were given an update by the Central Bank (CBK) and the Kenya Deposit Insurance Corporation (KDIC) on the ongoing takeover of selected assets and liabilities of their bank by State Bank of Mauritius (SBM). A South-African based private equity fund has invested Sh404 million ($4 million) to acquire an undisclosed stake in Kenyan fast food chain Big Square. Uqalo says its investment will expand its footprint from the current nine stores to 30 over the next four years. Uqalo, which targets investments located in Kenya, Ethiopia and Nigeria, is primarily funded by Hong Kong-based supply chain and logistics conglomerate Fung Group and its strategy is to acquire minority stakes by investing between Sh202m and Sh506m ($2m and $5m) in “mature businesses” through equity or convertible debt (via Business Daily). Wow Beverages has made an application to enter into exclusive import arrangements with specified international and local manufacturers and suppliers of ‘premium’ wines and spirits in Kenya – from Gallo Vineyards Inc. trading as E&J Gallow Winery Europe, Vina San Pedro Tarapasca S.A, Felix Solis Avantis S.A, Afrique Interlink (PTY), Interlink (PTY) Limited, Edrington Group Limited and Tradall S.A (Bacardi-Martini Group). Seaboard has made a low offer to buy out other minority shareholders of Unga. The Kenya Tea Development Agency (KTDA) Chebut factory is set to take over management of 260 acres of mature tea owned by the Nandi county government after the conclusion of ongoing negotiations. Kenyan billionaire David Langat has acquired one of the largest tea farm in Tanzania in a deal that puts his company as one of the single largest tea producers in East Africa. Langat is thought to have paid a British firm, Rift Valley Corporation, close to Sh6 billion ($60 million) for a controlling stake, 99 per cent, in Mufindi Tea and Coffee Limited, Rift Valley Tea Solutions Limited and Kibena Tea Limited. The businessman owns Koisagat Tea Estate in Nandi and Kapchepet tea factory that processes CTC tea for export under his company D L Koisagat. He also runs Selenkei Investments Ltd, a company that generates electricity from solar energy plus the imposing Nyali Centre in Mombasa County as well as the Sunrise Resort in the same county. Carnivore owner Tamarind acquires Kengeles: The Competition Authority has approved the deal with a notice that “The merger will not affect competition negatively; and the combined turnover of the parties for the preceding year, 2016, was Sh1,224,757,242. However, the target had a turnover of Sh94,067,983, which is less than Sh100 million, and therefore, the transaction meets the threshold for exclusion under the Merger Threshold Guidelines” (via the Business Daily). Ascent Rift Valley Fund (ARVF), a leading SME Private Equity Fund investor will acquire a majority stake in Auto Springs East Africa, a Limuru-based factory that produces a wide range of products for the motor assembly and vehicle spare parts industry. It will be done in a partnership deal with SFC Finance. Sendy, an app-based on-demand delivery services platform operating across Kenya, has completed a Series A investment round, led by DOB Equity. DOB Equity will invest alongside CFAO, member of the Toyota Group, and other private investors. DOB Equity says that the new funds will enable Sendy to increase their platforms’ service offering. This includes adding more delivery vehicles to their platform, increasing their coverage area, expanding the sales and technology team, and preparing for future expansion into neighboring countries in East Africa. 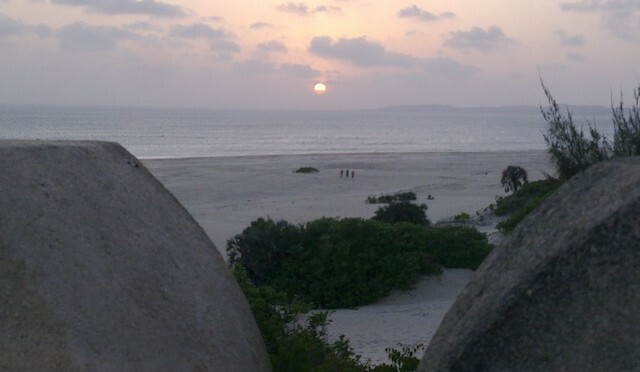 Ethiopia acquires 19% in Berbera Port becoming a strategic shareholder; UAE’s DP World has 51% while Somaliland gets 30% following the agreement being signed. Trading on Express Kenya shares has resumed at the Nairobi Securities Exchange (NSE) after a three-month suspension following a takeover bid by the firm’s CEO Hector Diniz. Diniz Holdings, an investment firm, has bid to acquire the 38.36% stake held by other shareholders other than its affiliates for Sh5.50 a share. (Via Business Daily). The Competition Authority authorized the proposed acquisition of the entire issued share capital of Trillvane Ltd by Kuehne+ Nagel limited. The Competition Authority authorized the proposed acquisition of Carzan Flowers (Kenya) limited by Star Bright Holdings. The Competition Authority authorized the proposed acquisition by Diamond (bc) b.v. of the Diversey Care division of Sealed Air corporation (“sealed air”) and of Sealed Air’s food hygiene and cleaning business within its food care division. The Competition Authority authorizes the proposed acquisition of 51% shareholding in Mavuno Fertilizers Limited by Omya (Schweiz) Ag. Trans Miller Limited carrying on the business of food processing, packaging and distribution and other related agri-business activities, situate at L.R. No. 4953/1185, Thika, have been sold and transferred by the transferor to Tahuna Limited, who will carry on the said business of manufacturing under the name and style of Tahuna Limited. The Competition Authority of Kenya excludes the proposed acquisition of 51% of the issued share capital of Ess Equipment Kenya Limited by Vronbisman Limited from the provisions of Part IV of the Act due to the following reasons as the acquirer does not operate in Kenya and the targets turnover for the preceding year 2017 was KSh. 79,314,330 and therefore, meets the threshold for exclusion under the merger threshold guidelines. Kenya Airways PLC, KLM Royal Dutch Airlines (KLM) and Societe Air France S.A (Air France) have made an application under section 25 (1) of the Act for the exemption of their proposed Agreement of Accession and Amendment to Joint Venture Agreement (proposed Amended JV) from the provisions of section• A of Part III of the Act. The application for exemption is for an indefinite period (as long as the amended N Agreement remains in force).1. The proposed Amended N agreement provides as follows —(a) the inclusion of Air France as a party to the Joint Venture Agreement (original JV agreement) between Kenya Airways and KU* and(b) that all references to KLM in the original JV be construed as a reference to both KLM and Air France. Ethiopian Airlines, the largest Aviation Group in Africa announced that it has finalized shareholders agreement with the Government of Zambia for the re-launch of Zambia Airways. The Government of Zambia will be the majority shareholder with 55% and Ethiopian will have 45% stakes in the airline – and this comes after another consolidation at Ethiopian. Base Resources announced that it reached agreement with World Titane Holdings whereby Base Resources will acquire an initial 85% interest in the wholly owned Mauritian subsidiaries of World Titane, which between them hold a 100% interest in the Toliara Sands Project in Madagascar. Base Resources will acquire the remaining 15% interest, with a further US$17 million payable on achievement of key milestones, as the project advances to mine development. The acquisition is to be funded by the A$100 million share offer currently underway, refer below for further details. Completion of the acquisition is expected to occur in late January 2018. Investec Asset Management through its Africa Private Equity increased its investment in Mobisol with consortium partners the IFC and FMO. Mobisol, headquartered in Berlin deals with the energy demand from off-grid households and has operations in Kenya, Tanzania and Rwanda where it has sold 110,000 systems benefiting over 550,000 people. Maersk Oil has joined Total! Following Total SA’s commitment, the Government has consented to a proposed acquisition of the issued and to-be-issued share capital of Maersk Oil Exploration International (Mogas Kenya) in respect of Blocks 10BA, 10BB and 13T. Earlier, Total had acquired Maersk Oil for $7.45 billion in a share and debt transaction. Africa Finance Corporation and Harith General Partners (Aldwych Holdings) have merged their electricity generation assets into a new company – Anergi Holdings (includes Lake Turkana Wind Farm and Rabai Heavy Fuel plant in Kenya. The competition Authority approved the proposed acquisition of indirect control of Savannah Cement by Benson Sande Ndeta. The Competition Authority approved the proposed acquisition of Associated Vehicle Assemblers by Simba corporation. Actis has agreed to sell its 79.5% majority stake in Mentor Management Limited a Kenyan project management company, to Turner & Townsend, a global construction and management consultant. The management team of MML will retain its minority stake. Actis acquired a controlling stake in MML in 2011 (Via Business Daily). Mr. Price franchised business carried on by Deacons (East Africa) PLC will be transferred on or after 1st April, 2018 to MIRP Retail Kenya Limited which will carry on the business. Nakumatt Holdings and Tusker Mattresses have made an application under section 25 of the Act for the exemption of their proposed management services and loan Agreement for a period of three years.1. The terms of the agreement are that: Tuskys shall provide management services to Nakumatt including procurement and inventory management; Tuskys shall advance a loan to Nakumatt to provide it with emergency funding which shall be used to pay some of the outstanding amounts to employees and landlords; Tuskys shall provide recurring payment guarantees to the suppliers of the target to ensure the suppliers supply stocks to the following Nakumatt’s outlets: Village Market, Galleria, tikay Center, Lavington, Prestige, Mega, Highridge, Karen Crossoads, Ridgeways, Lifestyle, Embakasi, Garden City. After 40 years, Makini Schools are being old to Schole Ltd, who will acquire all shares of Makini, and who will work with ADvTECH to enhance the quality of education as Makini continues with the Kenyan curriculum. TPG Growth, the middle market and growth equity investment platform of global alternative asset firm TPG, announced today that it has signed a definitive agreement to acquire a majority stake in TRACE, the market leader in afro-urban music and entertainment. The remaining stake will be owned by TRACE’s co-founder and management team. TPG Growth will invest alongside Evolution Media and Satya Capital. As part of the transaction, MTG, a leading international digital entertainment group that invested in TRACE in 2014, will sell its stake in the company. International Paper and Board Supplies carrying on the business of trading in printing and packaging materials and consumables at L.R. No. 209/11066, will transfer all its business, stocks and assets to The Print Store who intends to carry on the business from the aforesaid premises. The Competition Authority authorizes the proposed acquisition of the entire issued share capital of Alldean Networks limited, Simbanet com limited and Wananchi telecom limited by Synergy. Pressmaster carrying on the business of trading in printing and packaging materials and consumables at L.R. No. 209/12156, will transfer all its business, stocks and assets to Pressmaster Africa Ltd. The Competition Authority authorized the proposed acquisition of the assets and business of International Paper and Board Supplies Limited by the Print Stores Limited, on condition that the acquirer absorbs not less than 45 out of the current 78 employees in the target business. The Competition Authority authorizes the proposed acquisition of the entire issued share capital of Pressmaster Africa Limited by Ramco Plexus. Edit From Tanzania where businessman Ali Mufuruki is seeking to increase his stake in Wananchi Group, incorporated in Tanzania from 1% to 51% by acquiring 50% of the company, according to this notice (PDF) to Tanzania’s Fair Competition Commission. The Competition Authority authorized the proposed acquisition of 40% of the ordinary shares in AAH (BVI) limited by Oman Trading International with certain veto rights. This entry was posted in Base Titanium, Centum, education, Investing in Kenya, Kenya Airways, Kenya economic growth, Kenya motoring, M&A, Nakumatt, Telkom Kenya, Wananchi online on March 22, 2018 by bankelele.